Dr. Kenneth M Rosen (Ken) has over fifty four years of experience in the Aerospace, Propulsion, Turbo machinery, manufacturing and systems engineering community much of which has been at the leadership level. Dr. Rosen is a founder and Principal Partner of Aero-Science Technology Associates, LLC. (ASTA), organized in 2002. ASTA is an engineering and business development consulting firm established to service both government and industry customers. His recent list of clients includes major and developing companies in the fields of Aerospace (VTOL & Fixed wing), Advance propulsion/Turbo Machinery and Renewable Energy as well as Government Agencies. Dr. Rosen has frequently served the DOD (DARPA TTO) as a senior advisor supporting such advanced aerospace research programs as UCAR, Heliplane, the Heavy Lift Helicopter and the DARPA VTOL X Plane. He helped prepare the Future of Vertical Lift Aviation study for the Army/DARPA, served as a member of the NRC/NASA Committee on Autonomy Research for Civil Aviation (2014), and is a current member of the Panel on Mechanical Science and Engineering at ARL and the Board on Army Science and Technology of the National Academies. From 2000 to 2002 Dr. Rosen also served as Corporate President of ConceptsNREC, a full service turbo-machinery company providing technical, software and manufacturing services to the propulsion and energy business sectors. Prior to this he spent over 38 years with United Technologies Corporation. Beginning his career in propulsion and aero-thermodynamics at Pratt & Whitney Aircraft, he quickly moved to Sikorsky Aircraft, were he held many major engineering and management positions including Vice President of Research & Engineering and Advanced Programs & Processes, directing such advanced technology projects as the Comanche, S-92 (2003 Collier trophy winner), Cypher (UAV), UH-60 Black Hawk, S-76 and X-Wing helicopters. During this period he managed all of Sikorsky’s research, systems engineering, product development, design, production engineering, ground/flight test and avionics/systems integration efforts. Dr. Rosen was a member of the Sikorsky Executive Board and was also responsible for all of the company’s advanced products and low observable activities. Additionally, he was Chairman of the UTC Engineering Coordination Steering Committee and a member of the Otis Elevator Science and Technology Advisory Committee. His professional expertise includes: Helicopter and UAV V/STOL design, systems engineering/avionics integration, advanced propulsion systems, product/business development, wind turbine design/economics, program management, network centric warfare, engine installation design, turbo-machinery, low observable technology, transmission/rotor design, pneumodynamics, icing, and aerothermodynamics and renewable energy. Dr. Rosen is an elected member of the National Academy of Engineering, the Connecticut Academy of Science and Engineering, and holds Fellow rank in the following societies: the ASME, the Royal Aeronautical Society, the Society of Automotive Engineers, the AIAA and the American Helicopter Society. He is also a recipient of the NASA Civilian Public Service Medal, the Dr. Alexander Klemin Award for lifetime achievement from the AHS, and Vice President Al Gore Hammer award from the DOD for innovative cost management. 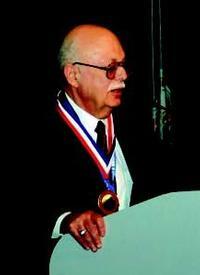 In 2007, the AHS selected him to deliver the Dr. Alexander A. Nikolsky Honorary Lectureship titled A Prospective: The Importance of Propulsion Technology to the Development of Helicopter Systems with a Vision for the Future and NASA cited him for his work in Heavy Lift Helicopters as part of the NASA Group Achievement Award. He has been a member of the Sikorsky Technical Advisory Committee and has recently served as Chairman of the Daniel Guggenheim Medal Board of Award. Dr. Rosen has been Chairman of the Board of the Rotorcraft Industry Technology Association, Chairman of the UTC Engineering Coordination Steering Committee, Vice Chairman of the Software Productivity Consortium, and Chairman of the AIA Rotorcraft Advisory Group. Additionally, he has been a long-term member of NASA’s Aeronautics and Space Transportation Technology Advisory Committee, the SAE Aerospace Council, the NRC Assessment Panel on Air and Ground Vehicle Technology for the ARL. In 2006 he was a member of the NRC Committee on Air Force/DOD Aerospace Propulsion and the Decadal Survey of Civil Aeronautics. More recently, in 2014 he was a member of the NRC Committee on Autonomy Research for Civil Aviation and is a current member of the Panel on Mechanical Science and Engineering at ARL and the Board on Army Science and Technology of the National Academies. Dr. Rosen holds five US patents and has written numerous papers in the fields of helicopter design, tilt rotor optimization, product development, propulsion, aero-thermodynamics, icing, and systems engineering. He holds MS and PhD degrees in mechanical engineering from Rensselaer Polytechnic Institute and is a graduate of the Advanced Management Program at the Harvard University Business School.